Just 50 years ago computers were the size of rooms and could only do a fraction of what they can today. So, it is simply amazing that 2 mini little treasures have been unveiled for our Linux enthusiast or anyone who likes things that come in small packages and are named after sweet treats. The Raspberry Pi is a Linux-based PC no bigger than a credit card. For $25 you get 256 MB of RAM and a USB port. For $10 more they throw in an Ethernet hookup and a second USB port. These tiny tots are intended to give you cheap computing. You will need to have your own keyboard and display, like your TV. You can use this capable little pc for spreadsheets, word processing and of course games. It will also play HD video. 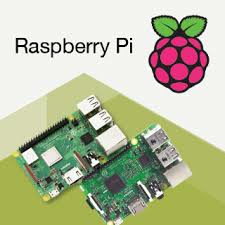 The Raspberry Pi was developed with the goal of teaching computer programming to children. Unfortunately, so many want this little nugget, it is on backorder at the moment. In case the Raspberry Pi isn’t small enough, you could try Cotton Candy which is being distributed by FXI. This little number is no bigger than your average USB thumb drive. Cotton Candy runs either Ubuntu or Android 4.0. It has a dual-core and 1GB of RAM. It sports one USB plug on one side which is used to power the little chipper. It has built in WiFi and Bluetooth radios for connectivity and supporting input devices. For all its smallness, it can operate as a complete computer and boot from it like you would a regular USB mass storage device. Cotton Candy is available for preorder for $199.